HJ: Perhaps the most important thing in life is discovering your calling — your life purpose — the mission you came here to complete in this lifetime. It gives your life a whole new sense of meaning, fulfillment, excitement and wonder. It pulls you forward like a powerful magnet in the direction of your highest success, expansion and growth. And when lived fully, you cannot help but have a massive positive impact in peoples lives and make your own unique contribution to the healing of the world as a whole. Go forth, find it, be great, live passionately. Ah, to find your life’s calling. It might be big, it might be small, but it will definitely be meaningful. It might be something you do for a living, or it might be something you do on the side, but it will definitely be fulfilling. Without further ado, let’s jump right in to the 6 techniques you can try right now that will help you find your calling in life! What topic can you really rant about? What gets your blood boiling and your voice fierce? Think of as many topics as you can that you’re passionate about. Stand up, alone or with a supportive friend to cheer you on, and get your rant on! When you run out of steam for the first topic, say, “And another thing!” and move on to the next. If you’re a writer, you can write your rant instead of speaking it, but write in a stream-of-consciousness style, with no editing, so that your words can flow freely from your heart. When you’re done ranting, reflect on how much you had to say and how it felt in your heart and in your body. When you find the topic you can rant about the longest, and the topic that makes you feel the most passion, you’ve found your calling. List a bunch of things you love to do – things you could spend hours a day doing if you didn’t have to worry about anything else and had plenty of time to rest. Also, list things you used to love to do when you were younger, unless you’re sure you don’t love them anymore. Don’t worry about what’s affordable or easy. Don’t worry about whether you’re any good at it. Don’t worry about what’s useful or practical; if you rock at petting cats, add it to the list. When you think you’re done, wait for 2 minutes. If you don’t think of anything else in those 2 minutes, you’re really done! If you do think of something new, write it down and then wait for another 2 minutes. – Does this light me up? – Is this something I could continually improve at over time? – Does this help others, or make the world a better place, even in a tiny way? When you answer HELL YES to all three questions, you’ve found your calling. Make a list of things that are easy for you but are difficult for others. This can be tricky because they’re so easy for you that you take them for granted; you have a blind spot. This blind spot is called “the usual error”, because you assume that what’s easy for you is easy for everyone else, and therefore no big deal. and put their answers on your list. In Sufism, there’s a concept called “the Jewel.” Each human being has a particular Jewel hidden inside their heart, and this Jewel reflects the light of one of the 99 qualities of the Divine. These qualities are things like Strength, Forgiveness, Relief, Nourishment, Truth, Compassion, and so on. Your Jewel is the deepest calling of your heart. Here’s a meditation that can help you find it. Close your eyes and take a deep breath. Call the Name of the Divine into your heart, again and again, and each time pause for a breath and notice how your heart responds. (If you’re not sure what Name to call into your heart, try one of these: Source, Spirit, God, Universe, Divine, Oneness, Beloved.) Think back to a time when you did something you loved that helped or delighted someone else. Visualize that memory in detail. Bring all 5 senses into it. Now ask to be shown what Divine quality was flowing through your heart and into the other person’s heart? What Divine quality were you giving, and what Divine quality was the other person receiving? Be willing to be surprised; it doesn’t have to make sense. Just notice what you notice, accept it, and continue to ask to be shown. When you feel complete, take a moment to offer up any authentic gratitude for what you’ve received, take one more nice deep breath, and open your eyes. The quality that you notice is your Jewel. When you’ve found your Jewel, you’ve found your calling. This calling may show up in lots of ways in the physical world. For example, if your Jewel is Love, then sitting around and playing videogames all day wouldn’t help your Jewel shine, but helping animals find homes, becoming a monk, or being a really good parent would help your Jewel shine. Your Jewel is your heart’s calling, but you have the freedom to choose how to express it in the world – perhaps by using the other 5 techniques here! Make a list of all the obstacles, both in the world and within yourself, that are keeping you from following your heart. 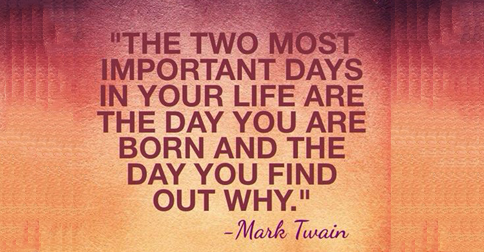 In other words, list the reasons why you’re not living the life of your dreams right now. Write whatever comes to your mind (or your heart). Go deep. And keep going until you’ve run out of obstacles. While we’re getting messy, let’s look into the past as well. What are some big, messy, painful experiences you’ve survived, or are currently surviving? Add them to your list. Last but not least, what are your lifelong struggles? The issues you’ve wrestled with again and again, and every time you think you’ve solved them, they come back in some new and horrible way? Add those to your list, too. – Has struggling with this helped me grow in some way? – Could I turn this around and use it to help others? When you answer HELL YES to both questions, you’ve found your calling. So if, when working through any of these exercises, an idea comes up that fills you with dread – but it’s the kind of dread that’s also exhilirating, like you’re about to jump out of a plane to skydive – you’ve found your calling. Pace Smith is The Pathfinding Coach. Download her free eBook, Find Your Path Now, to start living a wholehearted, unconventional life.